We have the most fabulous range of mirrors that will suit all decor styles. 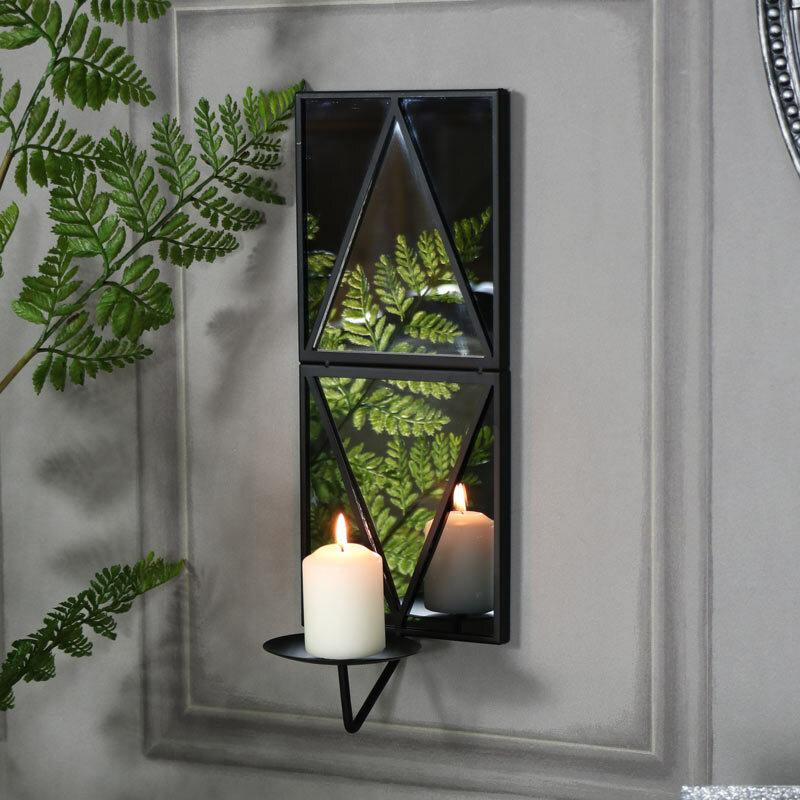 This sconce combines not only a mirror but a candle holder too. Fabulous art deco style, the mirror itself features triangular shape panels with 4 panels having a darker black glass. The sconce on the front will easily seat a pillar candle, safely secured on the candle spike. Perfect for hanging in the living room, hallway or bedroom to add a warm candlelit glow with the flame reflecting off the mirrored surface. We have the most fabulous range of mirrors that will suit all decor styles. 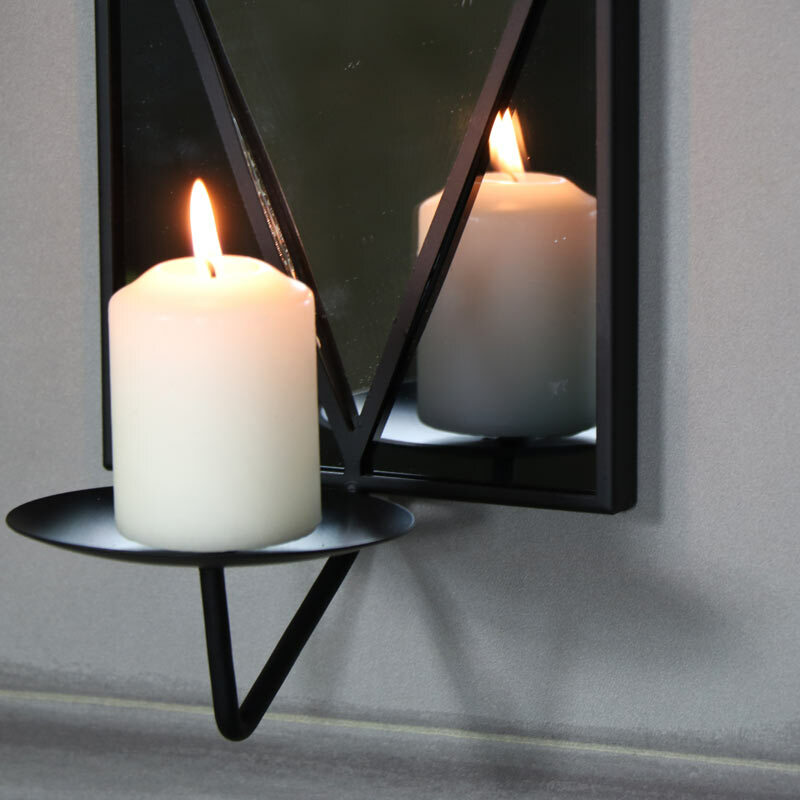 This sconce combines not only a mirror but a candle holder too. Fabulous art deco style, the mirror itself features triangular shape panels with 4 panels having a darker black glass. The sconce on the front will easily seat a pillar candle, safely secured on the candle spike. Perfect for hanging in the living room, hallway or bedroom to add a warm candlelit glow with the flame reflecting off the mirrored surface. 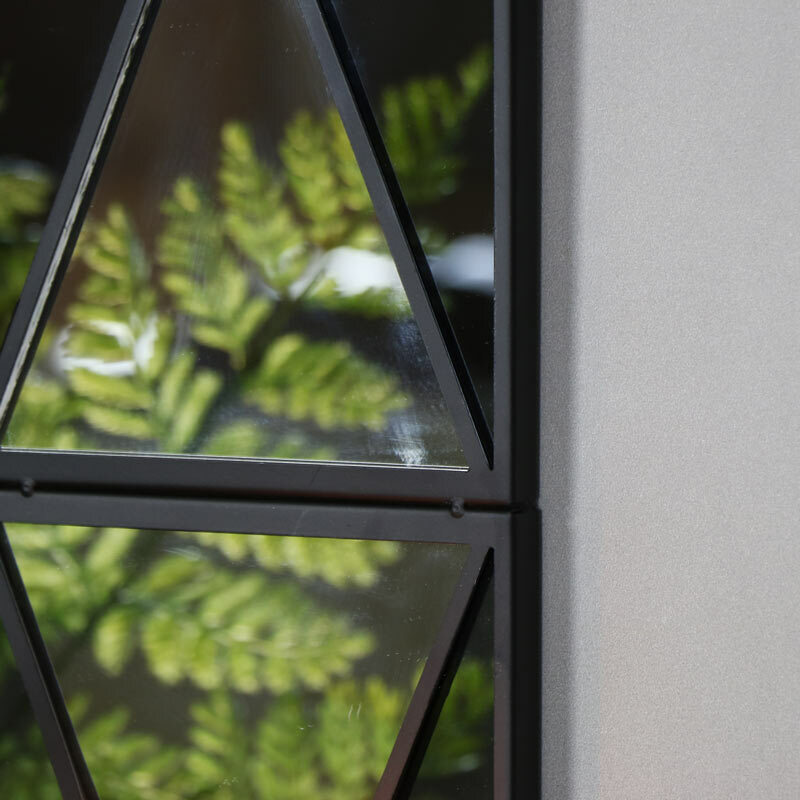 Made from metal in a black painted finish with 6 triangle shape glass panels. Easily wall mounted with 2 hooks on the back. Add to any room, entryway or doorway to create a spectacular look to your home. A great gift for family or friends.